Our alpine climbing skills courses are designed to introduce techniques that will help you take on bigger, steeper objectives. Anchors and Belay for Steep Snow is a great next step for any individual looking to build a solid foundation of technical mountaineering skills. Often, the 3rd and 4th class sections of snow and rock are the most challenging part of alpine climbing. These sections often require the protection of a rope, but also dictate quicker movement and knowledge of a range of anchor systems. In the alpine environment, there is an emphasis on moving through terrain efficiently. Solid, but quick, anchors are one key to accomplishing that goal. During this alpine climbing skills course, we will cover more advanced movement for climbing steeper and more challenging routes. Participants will be exposed to more aggressive crampon techniques as well as ice axe positioning for steep snow. During this course you will build and evaluate several types of alpine anchors.We will provide you with a foundation of alpine climbing skills that can be used on more advanced guided objectives, and on simpler objectives that you may decide to take on independently. 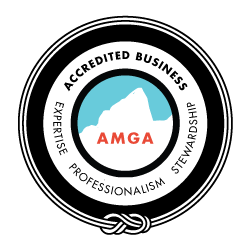 This clinic is designed to help you build technical alpine climbing skills alongside a guide, who can help you refine your technique and introduce new skills. In this clinic we focus on a variety of snow anchors, and use a range of tools. You will learn to match the anchor to the conditions, the climbing difficulty, as well as the available tools and terrain. Educational clinics are intended to prepare you to independently explore climbs within your ability level. Taking this course will also prepare you to take on more advanced guided objectives. 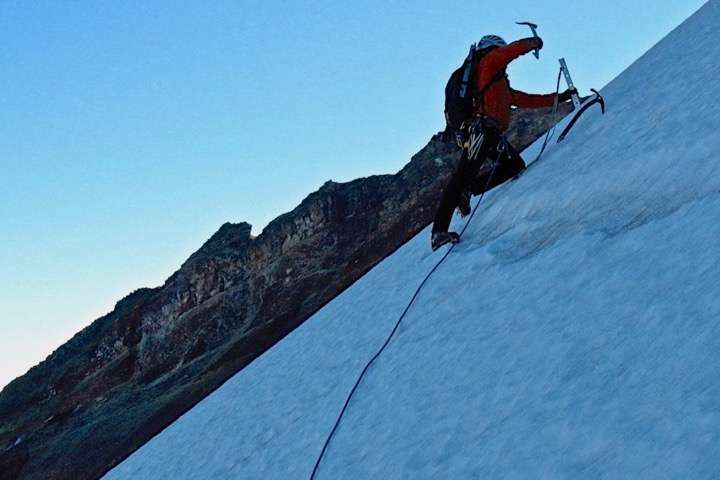 Climbers often take this course as a review day prior to attempting advanced south side climbs like the West Crater Rim, Devils Kitchen Headwall or Reid Glacier Headwall.